I got some sad news from Kenneth Dahl this week. 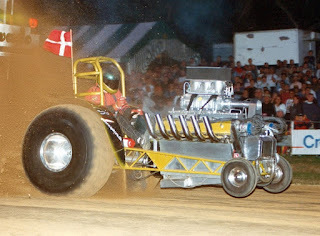 Henrik Sidelmann ,,Mr Diesel´´ from Denmark passed away on Semptember 22nd, 2016, after a long time battle against cancer. On Thursday September 22nd 2016, Henrik Sidelmann lost his battle to cancer. Way back since mid-80´s Henrik was a pioneer in diesel pulling. 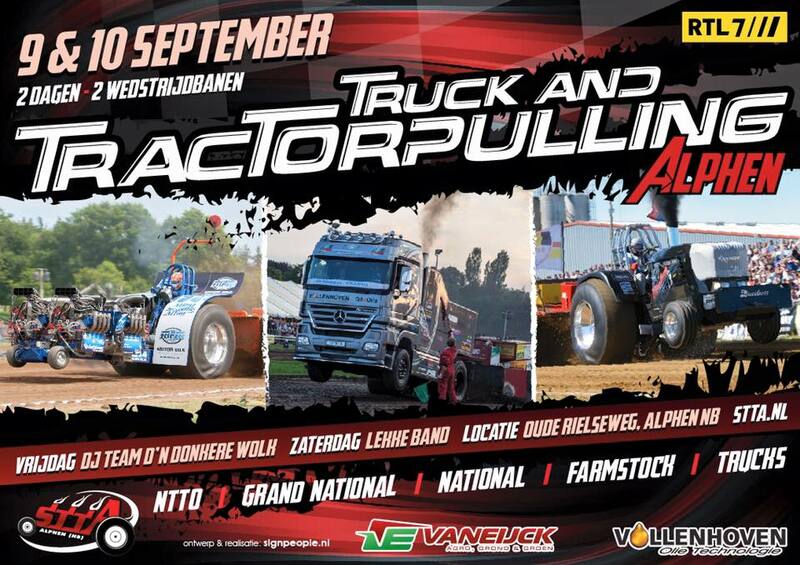 From the beginning he was part of the Super Stock diesel tractor BLUE POWER from Aulum, Denmark. Here his ideas was tested with many victories as result. Remember European Championship in 1994? 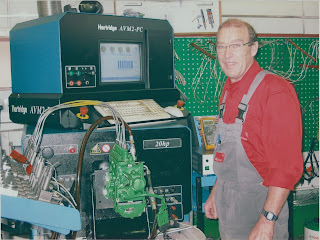 Henrik worked for more than 45 years at KETNER in Holstebro. 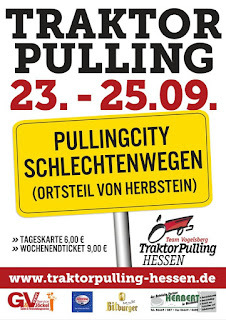 Optimising and rebuilding 100 maybe 1000´s of dieselpumps during the years. 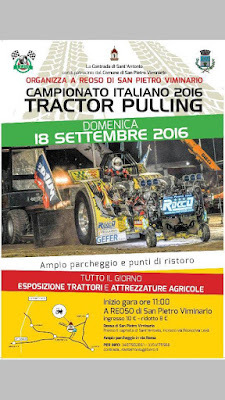 For tractorpulling in all classes for many countries. Allways willing to teach and supply with knowledge to everybody who had interest in listening. 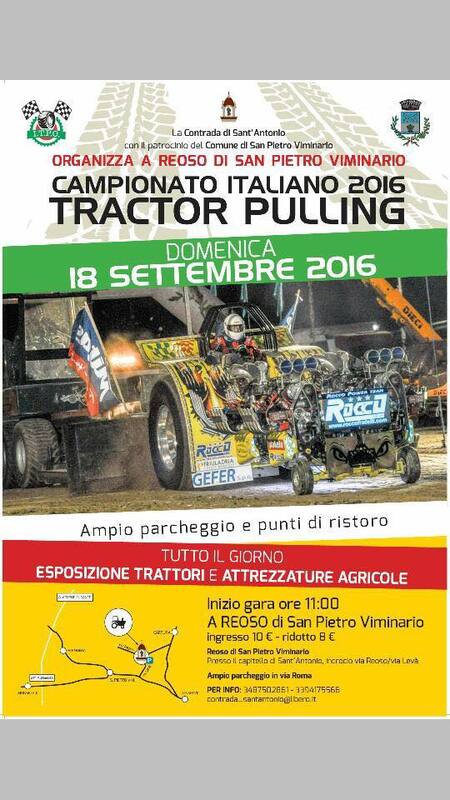 Henrik was always the good friend, ready to talk about tractorpulling. 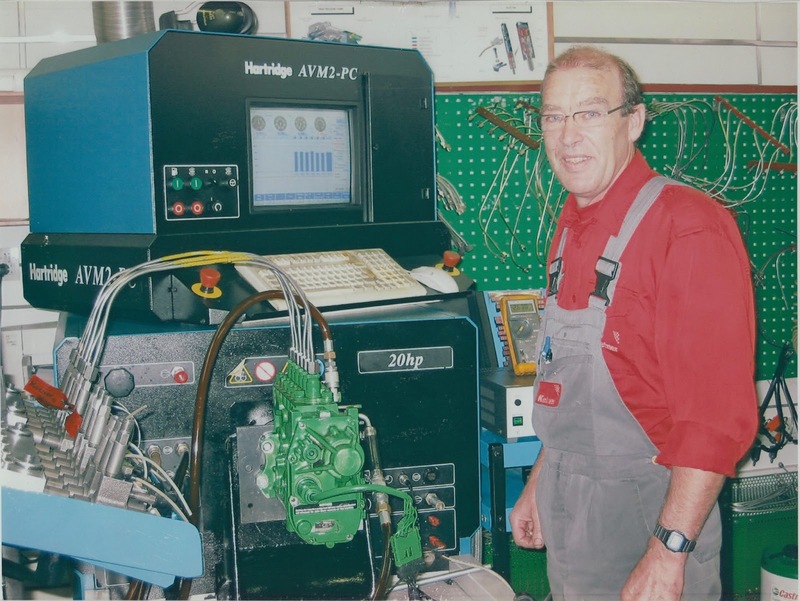 He always had ideas and things he liked to discuss and wanted to test about engines; camshaft, pistons, diesel injection nozzles, cylinderheads, waterinjection, gearbox and of course diesel pumps! Henrik will surely be missed by all of us pulling friends. And we also send our thoughts to his family who is carrying the biggest loss of a popular, hard working and honest person. In honour of his memory. Mr. Diesel – KETNER Holstebro. 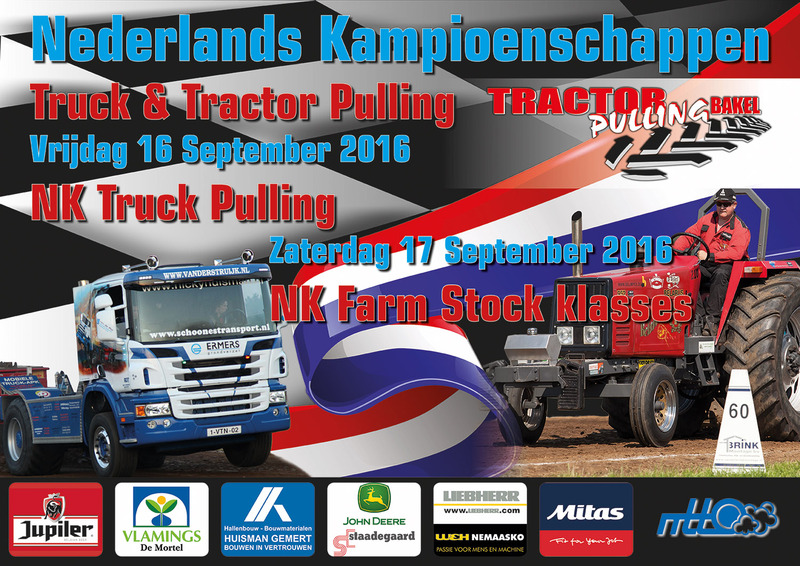 Congratulations to all NTTO Grand National Champions 2016 ! 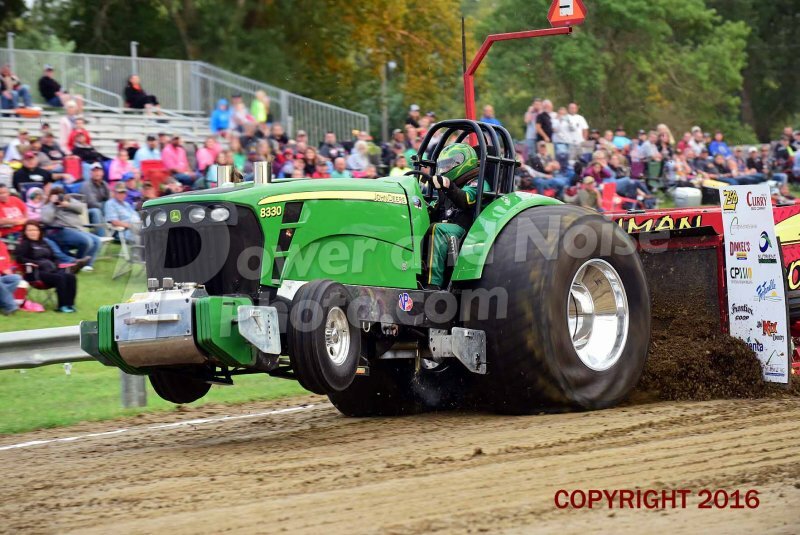 From Stonington, Illinois, the Money Pit Pulling Team have a new single Allison Tractor for the 5800 lbs. Mod class since this year. The new Tractor called ,,War Hawk´´ is original the old triple Allison UNL Mod called ,,Money Pit´´. 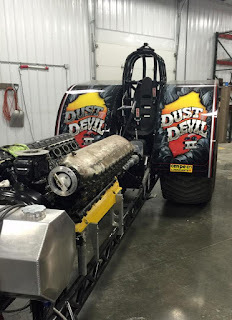 The Team sold the Tractor in 2015 to Jared Steckler as a single Allison powered Tractor named Dust Devil 2. 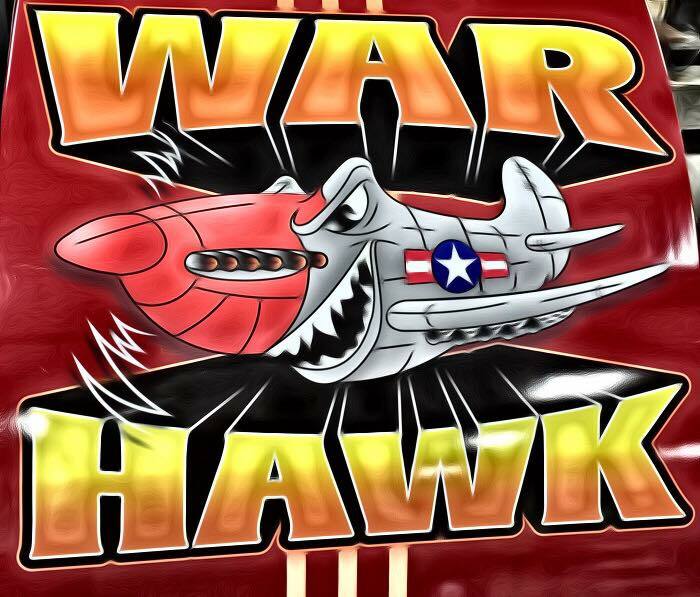 The Mod was bought back in April of 2016 and was renamed into ,,War Hawk´´. After that, the Mod got a new paintjob and a new design. The Tractor has a Engler tube frame, a Rockwell rearend with Franklin planetaries, a SCS Reverser and a driveline from Modern Machine. The fenders of the Tractor were made from aluminium by DeClerk Custom Machine. The Mod received a set of used Midwest rims with Firestone Puller 2000 HP tyres. 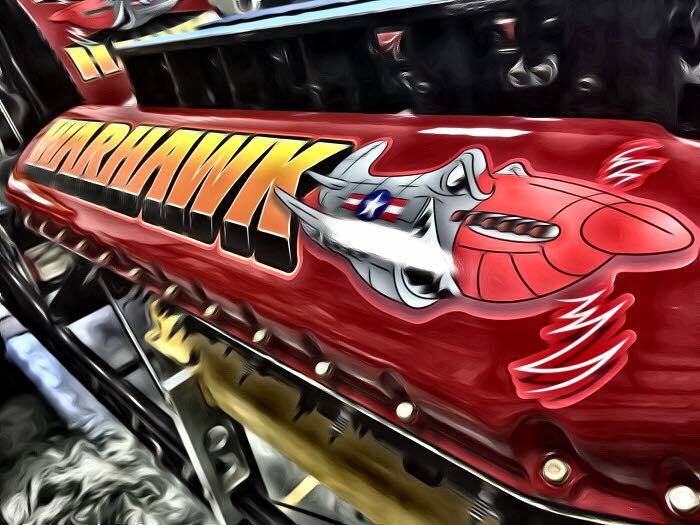 The War Hawk is powered by a Methanol injected Allison V12 V1710 Aircraft engine. 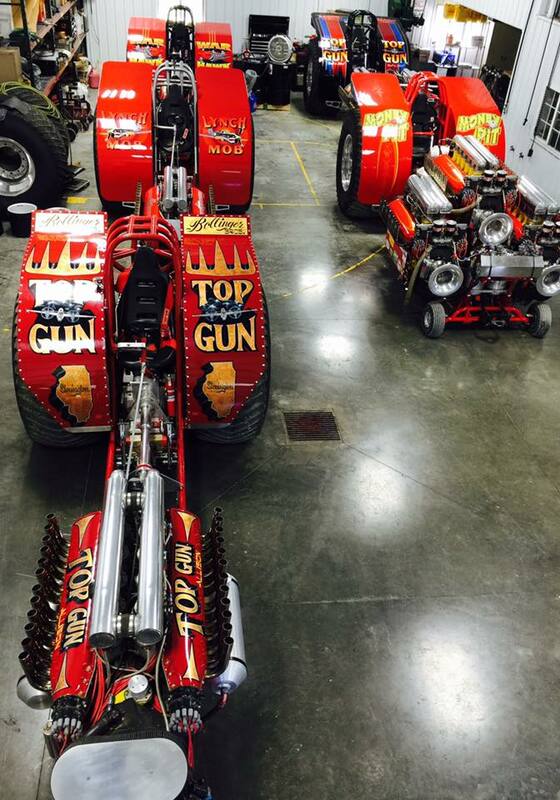 The Aircraft engine got a homemade intake system and homemade exhaust pipes, stock cylinder heads with stock valves, a stock crankshaft, Allison stock pistons and rods, a MSD ignition, a homemade oil and fuel tank, a dry sump lubrication and a Hillborn fuel injecton system. The Hillborn fuel injection was purchased from the Black Gold Pulling Team in the UK. 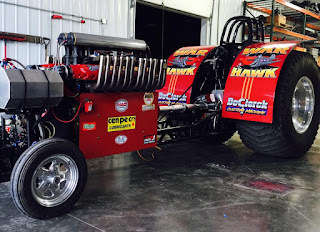 The Money Pit Pulling Team compete with their new ,,War Hawk´´ in the 5800 lbs. Mod class of the ITPA (Illinois Tractor Pulling Association) and on some other State Level Events in the USA. 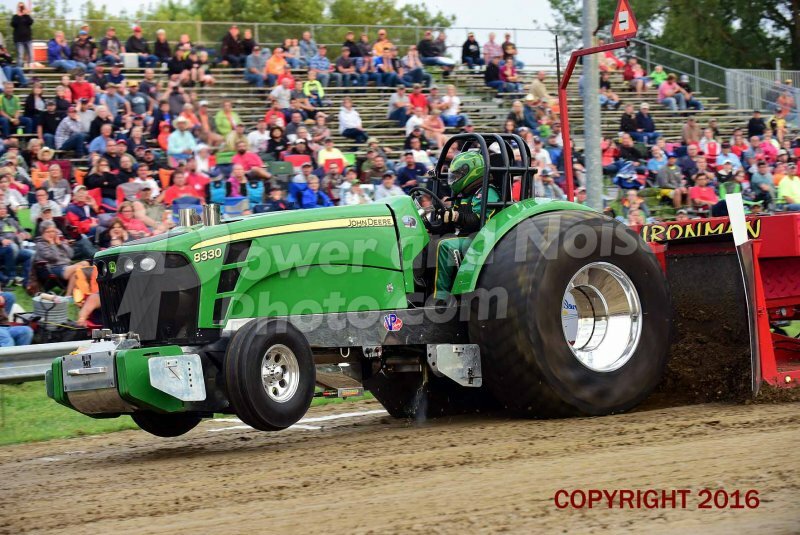 From Howells, Nebraska in the USA, the Green Lightning Pulling Team have built a new Alcohol powered John Deere Component Light Super Stock Tractor during the last winter. 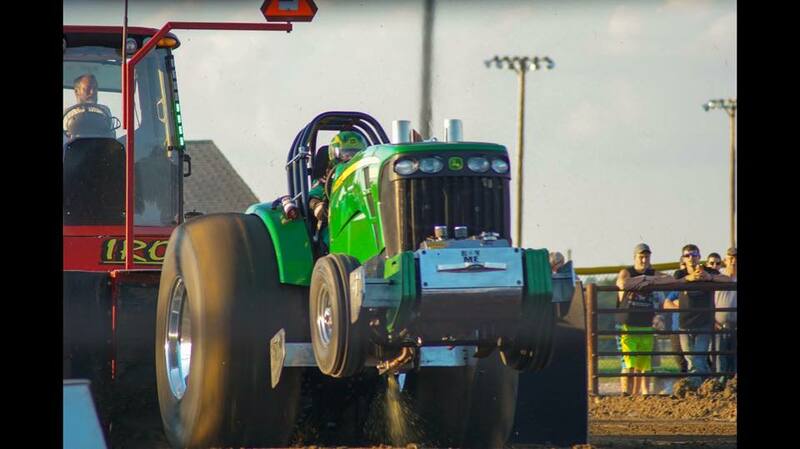 The Tractor has a Chrome-Moly tube frame with a Chrome-Moly Rollcage (ROP), a Component Truck rearend with Franklin planetaries and a three speed Pro Fab transmission. The hood of the Light Super Stock come from a John Deere 8330. 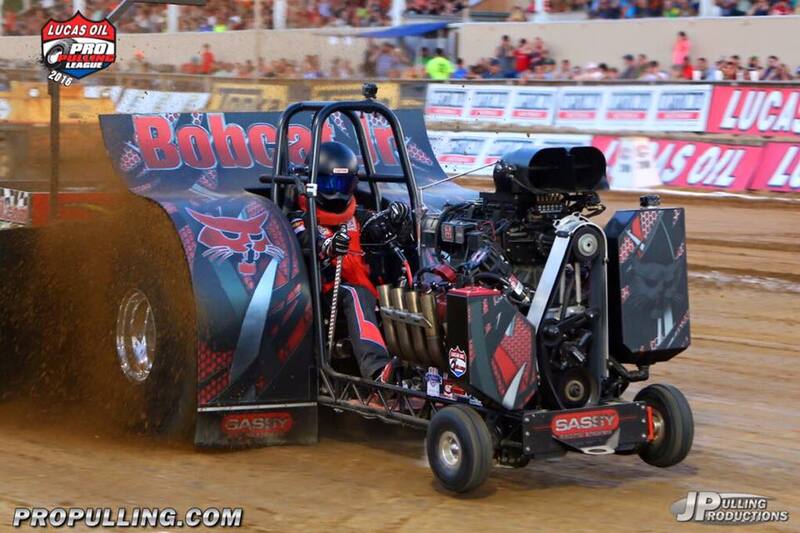 The Light Super has a 4 discs centrifugal clutch with a Rursch flywheel set up. 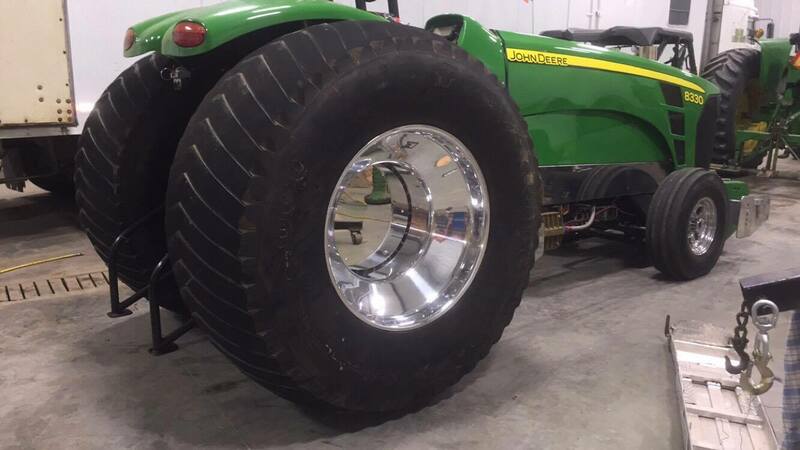 The Team bought for their new John Deere a set of new Keizer Wheels rims with 30.5 Firestone Puller 2000 HP tyres. The new Green Lightning is powered by an 504 cui. JD engine from GMS (Gene´s Machine Shop) in Hamilton, Ohio. The engine has a Indy aluminium cylinder head, a stainless steel intake and exhaust system from Mid-Weld, 3 Columbus Diesel turbochargers, GMS aluminium pistons and rods, a GMS counter weighted JD crankshaft, a Waterman fuel pump with a mechanical three stage fuel system and a RPM datalogger. 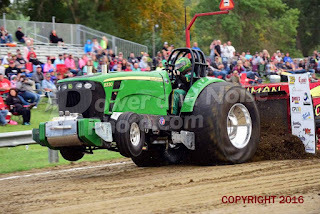 The Team purchased this Tractor last fall from the late Duane Schroeder. They removed his engine fuel system and put their engine from their old cast rear ended Light Super Stock. They also installed a new mechanical fuel system and a load of other items to make it legal for the Outlaw Truck and Tractor Pulling Organization and the NTPA. The Green Lightning Pulling Team compete with their new Light Super Stock Tractor in the Outlaw Truck and Tractor Pulling Organization and in the Nebraska Bush Pullers Organization at the moment. The Screamin´ Bobcat Team from Ijsselmuiden in the Netherlands have made a 2nd place with their Mini Rod Tractor called ,,Bobcat Jr.´´ in the Super Finals of the National Tractor Pulling Championships in Bowling Green, Ohio, USA. 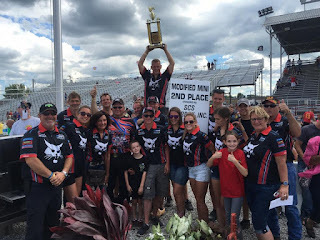 After a 4th place in the first session and a great 1st place in the second session of the Mini Rod class, Berrie Boer was qualified for the Super Finals in Bowling Green on Sunday, together with Steve Boyd (Green Streak), Adam Koester (Walk the Line), Larry Koester (Footloose) and Jason Hathaway (Honkin´ Donkey Red).The biggest surprise was the last year Bowling Green Ring Winner Adam Bauer (Iron Toy & Cowboy Up). 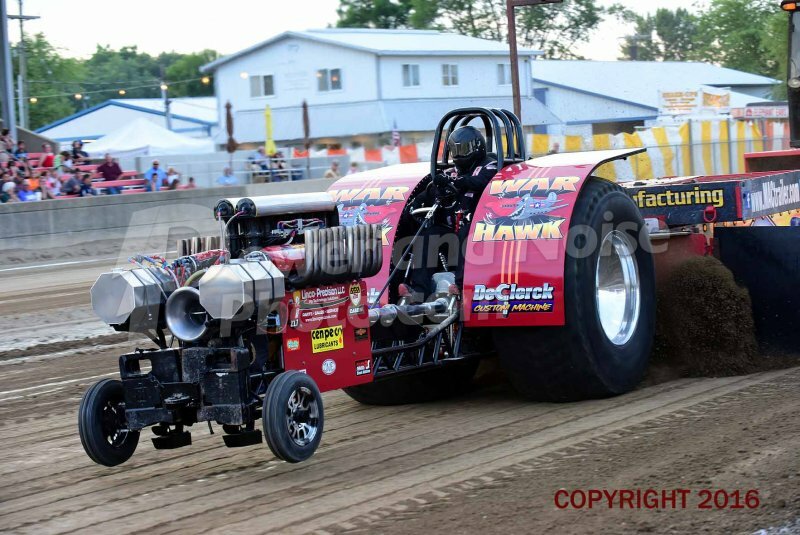 The Man from Paton, Iowa couldn´t qualify for the big finals on Sunday with his both Mini Rods. 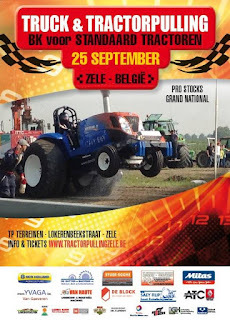 In the finals on Sunday, Berrie Boer was the last competitor in the Mini Rod division. 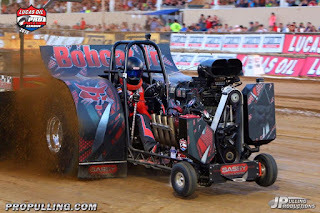 Berrie made with his Bobcat Jr. a very good start, but short before the leading distance (set by Adam Koester with Walk the Line) the gear jumped out of his reverser and all his chances of the win were gone. But the distance of 336.345 feet were enough for the 2nd place in the end. The Bowling Green Ring Winner 2016 was Adam Koester with his Mini Rod called ,,Walk the Line´´ and a distance of 337.085 feet. 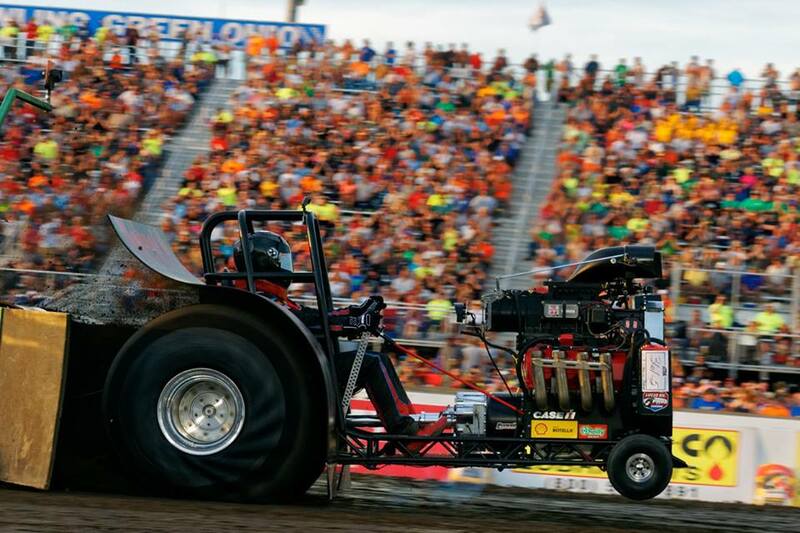 The Gators Pulling Team around Torben Hansen and his son Patrick Hansen from Skjern in Denmark are currently working on a new Tractor for the 5500 lbs. 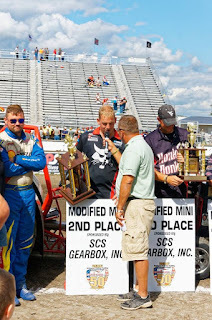 / 2.5t Light Mod class. Torben and Patrick are building and planning on the Tractor since 2013. The Light Mod gets a new Domex 700 wedge frame with a revised ACE Chassis Rollcage (ROP), a homemade steering, homemade Docol wheely bars and a homemade Domex rear axle housing. The rear axle gets a Humpco differential with a Humpco center section and homemade aluminium planetaries carrier housing with special made Mercedes planetaries. The Light Mod is also supplied with a completely new constructed drivetrain with a homemade reverser and a homemade Crossbox with special made gears. The Team have planned to put the reverser directly behind the Crossbox. 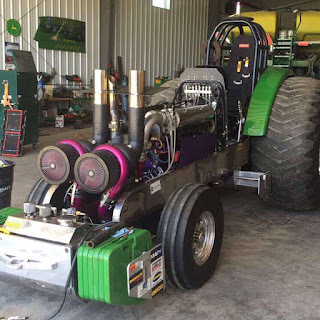 Both engines on the Tractor get a aluminium clutch bell housing from Browell, a 11 inch Eagle centrifugal clutch with 4 discs and homemade fly wheels. 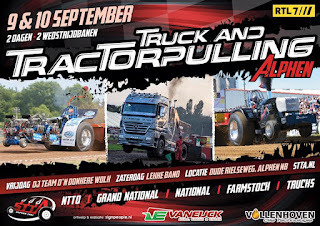 The new Carbon Fiber fenders for the new project were purchased from the Rocket Science Pulling Team from Weert in the Netherlands. The Team bought a set of new aluminum rims with cut Firestone Puller 2000 HP tyres from Hoosier Pulling Tires in the USA for their new Tractor. 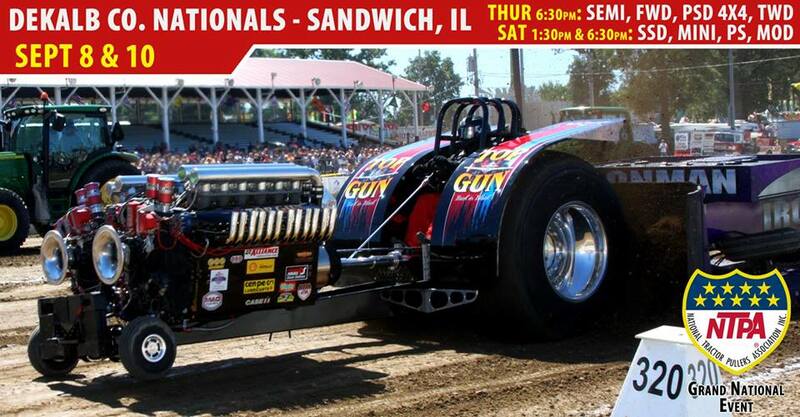 The new Gators Light Mod will have 2 Rover Meteor V12 tank engines on methanol. Each engine receives a Fowler 14-71 Xtreme Edition blower with a JPR carbon fiber scoop, a homemade CNC billet aluminium manifold, homemade stainless steel exhaust pipes, revised cylinder heads (Hemi style) with more compression, homemade aluminium valve covers, new bigger valves with new springs, homemade camshafts, a homemade belt drive, homemade aluminium pistons and rods, homemade steel liners, a MSD 44 Pro Mag ignition, a Racepack datalogger, a Aviaid oil pump, a Petterson oil tank for the dry sump lubrication, a homenmade aluminium fuel tank, a Rage Fuel Systems methanol fuel pump and a homemade fuel system. The both oil tanks for the dry sump lubrication sits on the side of the methanol fuel tank. 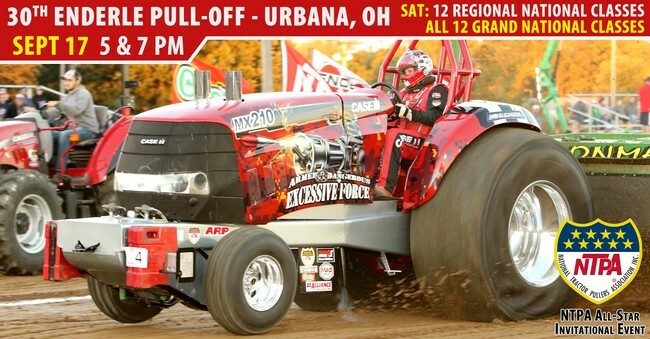 Because of the 5500 lbs. weight limit, the cylinder banks of the engines were milled down, the water jackets removed and the spark plugs exempted. If the Light Mod is ready, the Team has planned to make some test runs on the Dyno of the John Deere Pulling Team in Thy, Denmark. 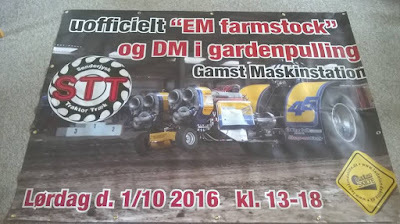 The Gators Pulling Team have planned to compete in the Danish Championship and in the Euro Cup next year. The first start of the new Gators is planned for the beginning of the 2017 season. 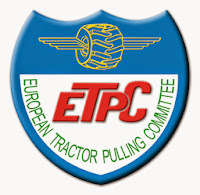 There has been a lot of misinformation put around regarding the exclusion of the 4 tractors at the EC2016 at Great Eccleston this last weekend. 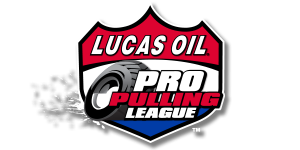 We as ETPC feel that due to the sensitivity of this subject that a full statement is issued relating to the rule regarding cylinder heads in the Prostock class. Please read the attached statement and ALL the supporting information so that you are then well informed on the complete picture regarding the challenges made to the intended 'ethos' of the Prostock class regarding the use of 'production stock' parts. This topic did not start one week before the EC2016, it started back in June 2015 and various amendments to the same rule (not a new rule as has been quoted) under 'clarification of meaning' have been made. 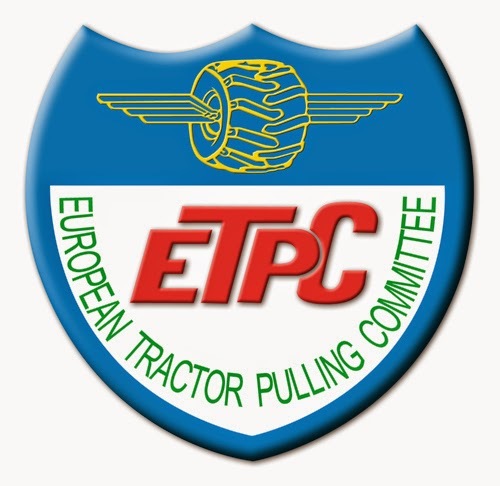 ETPC will always work towards enforcing the rules as currently written, without exception, to ensure a fair competition for all teams and tractors. 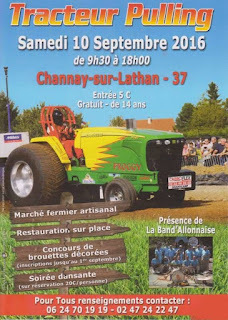 If tractors fall outside of the current rules and cannot prove the legality of the tractor according to the rules then suspension or exclusion from competition will be enforced. As ETPC has stated on many occasions if rules want to be changed then proposals to do this should be submitted in the normal way via their national ETPC representatives to be included on voting lists for the member countries. We trust to have informed you fully on this matter. 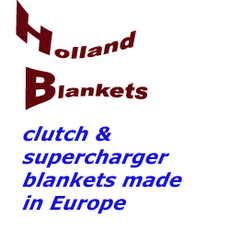 European Champions 2016 are known !